Part time positions fall, but full time work is on the rise. The latest figures released by the Australian Bureau of Statistics (ABS) show the seasonally adjusted unemployment rate has slightly dropped to 5.3 per cent, with the participation rate also decreasing to 65.5 per cent. From June to July seasonally adjusted employment decreased with the number of jobs falling by 3,900. Part time employment dropped by 23,200, while full time positions are on the rise with an increase of 19,300 full time jobs. 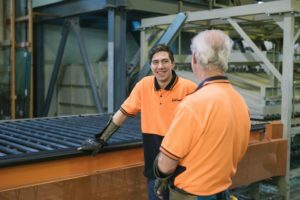 Employment economist from Indeed, Callam Pickering, said to ABC News that the increase in full time work was positive as it hadn’t been as strong earlier in the year. “Employment [is] down slightly and the participation rate [is] declining, but we should remember that employment rose by 58,200 people last month and the trend is headed in a positive direction” Mr Pickering said. – Employment decreased 3,900 to 12,575,200. – Part-time employment decreased 23,200 to 3,987,700. – Unemployment decreased 5,700 to 706,000. In seasonally adjusted terms, the unemployment rate increased by 0.2 per cent in New South Wales, South Australia and Queensland, with Tasmania up 0.5 per cent. Decreases were seen in Victoria (down 0.6 per cent) and Western Australia (down 0.1 per cent). Managing Director for BUSY At Work, Paul Miles, said it was good to see unemployment dropping slightly and was particularly encouraged to see an increase in full time employment. “A rise in full time jobs means there is less people living week to week and a stronger economy for Australia“ Mr Miles said. “Apprenticeships and traineeships help create a skilled workforce and are a fantastic way to grow your business. They provide people with real jobs and lead to strong, sustainable careers”. “I encourage all businesses who want to ensure a sustainable future to take advantage of the Federal and State Government incentives available as this can really make a huge difference to your business and help you bring an apprentice or trainee on board” Mr Miles said. ABS More details are in the July 2018 issue of Labour Force, Australia (cat. no. 6202.0). In addition, further information, including regional labour market information, can be found in the upcoming July 2018 issue of Labour Force, Australia, Detailed – Electronic Delivery (cat. no. 6291.0.55.001), due for release on 23 August 2018. These publications are available for free download (after release) from the ABS website: http://www.abs.gov.au. Is now the time to consider a construction apprenticeship? Enter your details to stay up to date with the latest BUSY At Work news and alerts.